As the UKs leading company for travel add-ons we pride ourselves on offering excellence at an affordable price and our cheap Luton airport hotels do just that. We have a range of 2, 3 and 4-star hotels available, and with savings of up to 40% off the standard price you can enjoy some pre-holiday luxury for less than youd think. We make sure you enjoy a restful night whatever your budget and our Best Price Guarantee means you know youve got a great deal. 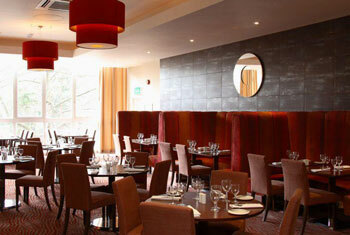 Why pre-book Luton airport hotels? By booking with HolidayExtras.com® you know youre getting the best deal available but if you book early you can save even more. Weve always recommended pre-booking your hotel as a top tip as its such a simple way to cut the cost of your holiday. The earlier you book, the more rooms the hotel has, which is great for you since it means they cost less. As the hotel gets booked up closer to the date, the price increases so you end up paying more for the same room. So book early and grab the best deals. Which hotels at Luton airport are available? We know you want the best deals and great value whenever you book a hotel, so all our hotels offer a guaranteed saving on the original price. To help you decide which hotel is right for you we classify them all with a star rating based on facilities on offer, the quality of rooms and the furnishings. If you're looking for a comfortable night's stay at the lowest price possible, our 2-star Ibis Hotel is perfect. 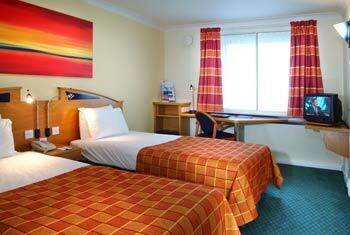 The hotel is extremely close to the Luton terminal, so its both great value and really convenient. For all the creature comforts youd expect plus a little more our 3-star Luton airport hotels could be just what you need. We have four hotels for you to choose from: the modern, comfortable and welcoming Days Hotel, the convenient and well-appointed Holiday Inn Express, or the light and functional Travelodge Hotel Luton Airport. For a more luxurious hotel experience without compromising on affordability, the The Hilton Garden Inn Luton North is ideal. Rooms are decorated with quality modern furnishings and each has a Garden Sleep System bed and first-rate service - everything you'd expect from a top rated hotel. Our 4-star hotels are designed to offer a truly stylish and extravagant start to your holiday. The newly refurbished and exceedingly beautiful Menzies Strathmore Hotel not only offers all the amenities of a top quality hotel but its also the perfect place from which to explore Bedfordshires stunning countryside. For a more homely feel the cosy Holiday Inn Luton South M1 J9 is both snug and modern but also offers use of a dance studio and beauty therapist among other wonderful facilities. Just when you didnt think it could get any better we offer you another way to save even more money. With our undercover hotels option we keep the name of your hotel secret until youve booked. Youll get some information about the hotel before booking just not its name. Its a great way to save money on our amazing 3 or 4-star hotels while still guaranteeing the same quality youd expect from us.